One of my greatest worries when traveling and participating in outdoor extreme adventures is finding clean drinking water. Whether it be hiking, camping, or general travel to places like Uganda or Mexico, finding clean, drinkable water can be an issue. 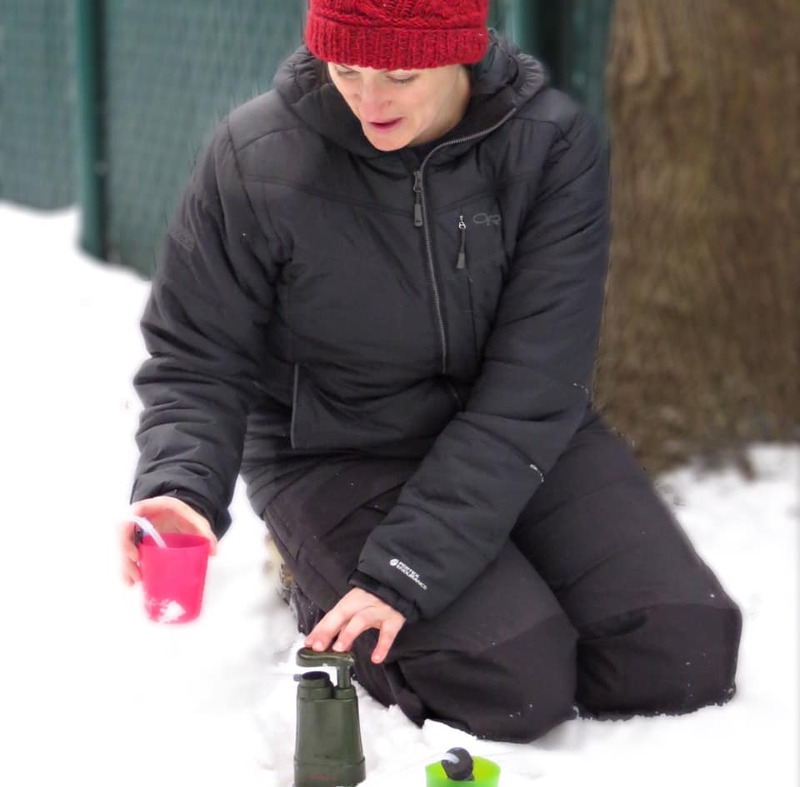 Contaminated drinking water is one of the leading sources of health problems for travelers and it can cause anything from mild gastrointestinal distress to serious bacterial diseases. A safe way to avoid the most common causes of water-borne illness like e coli, staph bacteria, and protozoa cysts is to use a water filter like Survivor Filter. 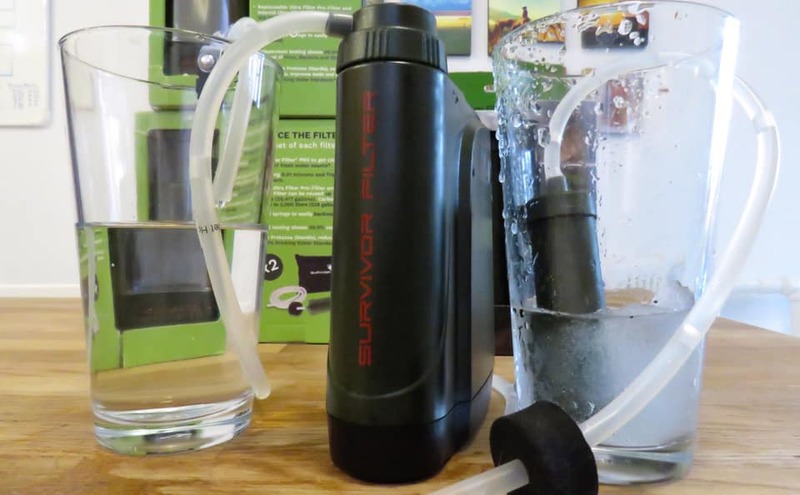 Two of my favorite Survivor Filter options are the Survivor Filter Pro Portable Water Filter Pump and the Pro-X – World’s First Handheld Portable Electric Survival Water Filter. Both water filters give you clean water from any fresh water source with just a few differences. 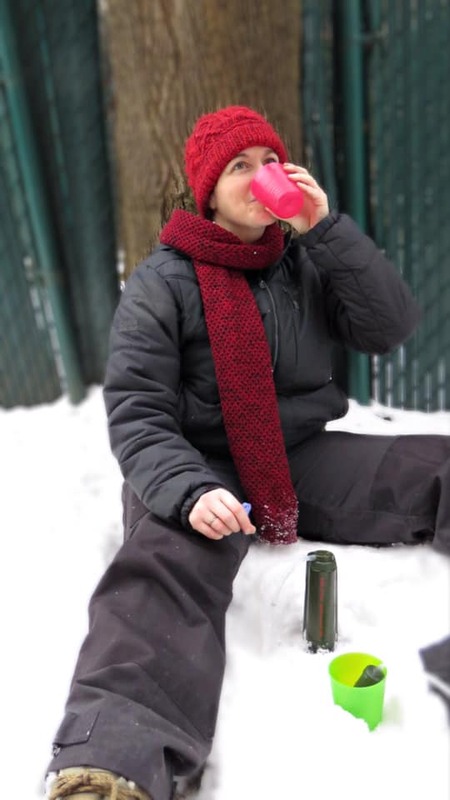 The Survivor Filter Pro is a small and compact water filter that can remove 99.999% of bacteria, protozoa, and tested virus. The filter can produce up to 17 ounces of fresh water per minute. It comes with all the necessary accessories to make the filtering process easy and straightforward. A single bacteria filter cartridge can clean up to 100,000 liters of contaminated water. Using the Survivor Filter Pro is very easy. You put the input tube into any fresh water source. The output tube goes into your container. Then, just start pumping. Pre-Filter: The pre-filter has a micron rating of 0.1. That means it will remove all bacteria, protozoa, and algae. Carbon Filter: The carbon filter will remove heavy metals and chemicals from the water. Ultra Filter: The final stage is a 0.01 micron filter. This filter will remove virtually all viruses from water. Large particles have already been removed in stage 1 so the Pro is able to remove viruses without slowing down the flow rate. If the filter gets clogged, you can backwash it with clean water. This cleans it out and gets the filter flowing quickly again. 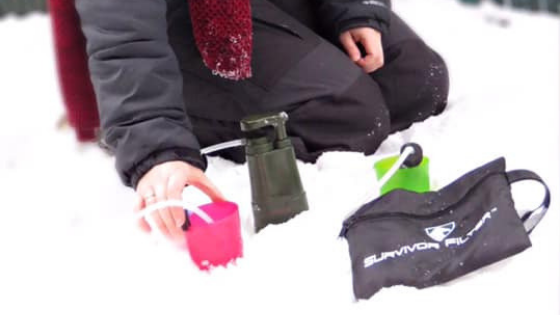 The Survivor Filter Pro-X is the first portable electric filtration system built for use in the outdoors. The water filter removes 99.9% of all viruses and bacteria from the water found in lakes and streams simply by pushing a button. The carbon filter system removes heavy metals while eliminating foul odors and unpleasant tastes. It is capable of filtering up to 17 ounces of water per minute and you don’t need to do any of the pumping. The Pro-X can filter up to 100,000 liters of water over its lifetime. It can be powered using three different sources of electricity. The device accepts standard AA batteries, which are good for up to 10 hours of use before needing to be replaced. It also features a USB port that allows it to be plugged into a portable battery pack or USB adapter if a larger generator is available. Finally, it can be plugged into a solar battery pack to keep it functioning as well. You connect it to a power source, place the intake tube into the fresh water, drop the output tube into a container, and turn the device on. From there, the built-in pump takes over, drawing water into the filter where it removes harmful bacteria and viruses, before depositing it into a container. The Pro-X uses the same cleanable, re-usable three stage filtering technology as the Survivor Filter Pro. Regardless if you’re looking for the electric Pro-X or the manual Pro, you get a lifetime warranty, a 3-stage filtration system, up to 17 ounces of water per minute, and removal of 99.9% of the Tested Phi-X 174 Virus, E.Coli and Staph Bacteria, and Protozoa Cysts (Giardia and Cryptosporidium), and up to 99.5% of the heavy metals that frequently contaminate water. The question simply comes down to whether you want to rely on a power source or pump the water through the filter yourself. Regardless, the answer to your water filter problems is Survivor Filter.